January 19, 2019 By Jonathan Kilburn & filed under All Articles, Food, Survival. 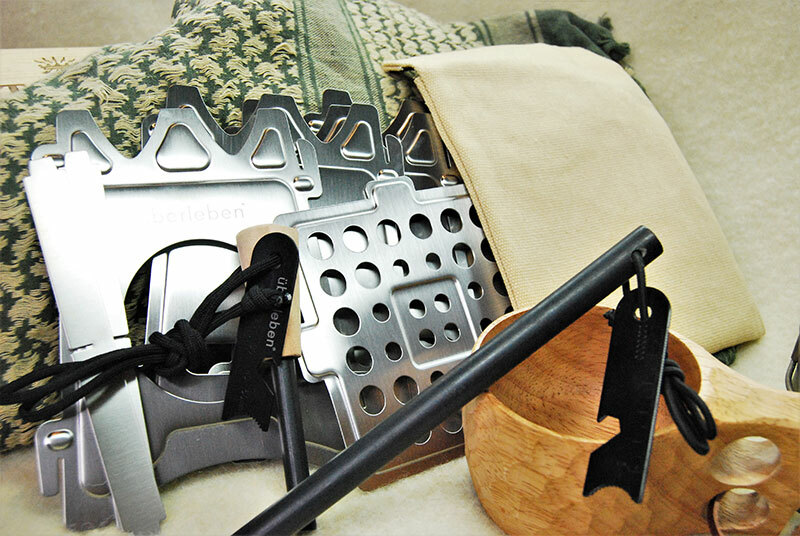 Left to right: Siege Stove with Ikea cutlery container and proprietary collapsible stove, Minuteman Rocket Stove, and Überleben Stöker Flatpack Stove. Each stove is fed in completely different ways, and each feed method has positives and negatives, depending on needs. More survival and camp stoves are on the market than ever before. They range from large, heavy tent style to small bottle stoves that weigh only a few ounces. It’s challenging to sift through all the options and find something that fits every need. When it comes to camping and survival, wood-burning stoves are generally the way to go. I prefer them because fuel is abundant in many environments, which allows me to utilize multiple fire-making options. In 2011, Hurricane Irene demolished the city where I was living. In the weeks after the storm, gas stations ran out of fuel and grocery stores were inaccessible. While most people survived with generators and portable gas or propane stoves, the fuel used in them was a premium. Alcohol stoves were a great temporary solution but failed to provide for everyone’s needs due to a lack of fuel, fire, and heat. Überleben Stöker Flatpack Stove is perfect example of collapsibility and portability. While company offers a range of products, Stöker is their flagship design. Two options exist for alternative wood-burning stoves: large tent stoves or mini stoves. They all have specific benefits. When it comes to portability, nothing beats a collapsible stove. Folding and collapsible stoves like the Siege Stove or Überleben Stöker Flatpack Stove can be packed into a backpack or even a belt kit. Each weighs less than one pound and can fit the needs of most bushcrafters and survivalists. Carrying one means you’re never without a proper fire container, plus they are easily assembled when on the move. The titanium construction of the Siege Stove fits together like a glove with the free-floating coal floor. Überleben holds together tightly and doesn’t require additional care when moved while assembled. Überleben features a port that allows feeding of the fire from the front of the stove, leaving a cooking pot on top undisturbed. The ridged assembly and limited ventilation holes in the sides make it an easy option to cook with. Feeding the fire through the front porthole is simple but allows for heat loss, and burning pieces of wood or embers can roll right out of the port. It’s harder to keep the fire contained inside, but it is solid and packs away easily. Siege Stove has numerous uses and accessories. Brackets come in titanium and stainless steel and each can be used with different container types. Even wide cans with a few well-placed holes can be adapted to fit the bracket system. 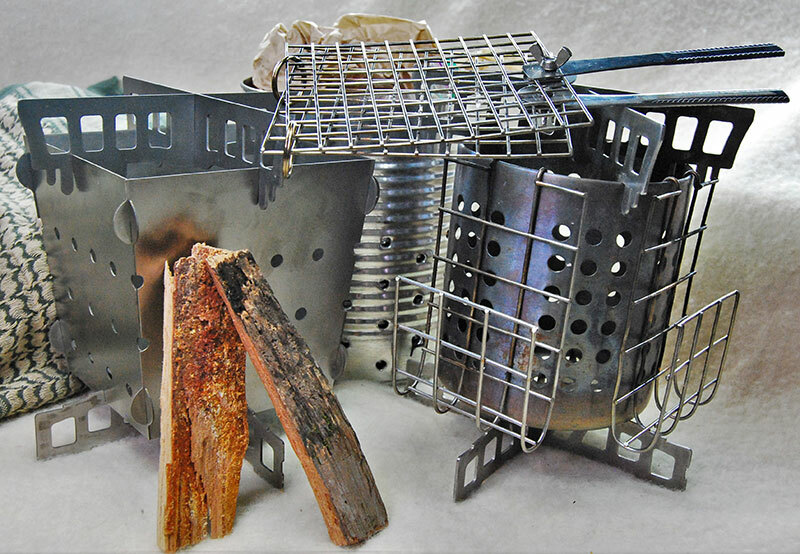 The Siege Stove is technically a steel or titanium raised bracket system that adapts to multiple container types and sizes or their proprietary collapsible stove. The brackets themselves also feature some sharp points to make ventilation holes in an aluminum or steel can. With no front port, the brackets raise a pot far enough away to feed the fire from above, reducing heat loss. The Siege Stove is the only design I am aware of that currently allows someone to transform nearly any food into a stove. When it comes to having a fire prepared and ready, getting a fire pit set up is one of the most time-consuming tasks. It’s even more time-consuming when the ground is wet, the weather is bad, or you need to remove all traces of having been in a particular area. The Minuteman Rocket Stove solves many of these problems with the added benefit of being extremely efficient. 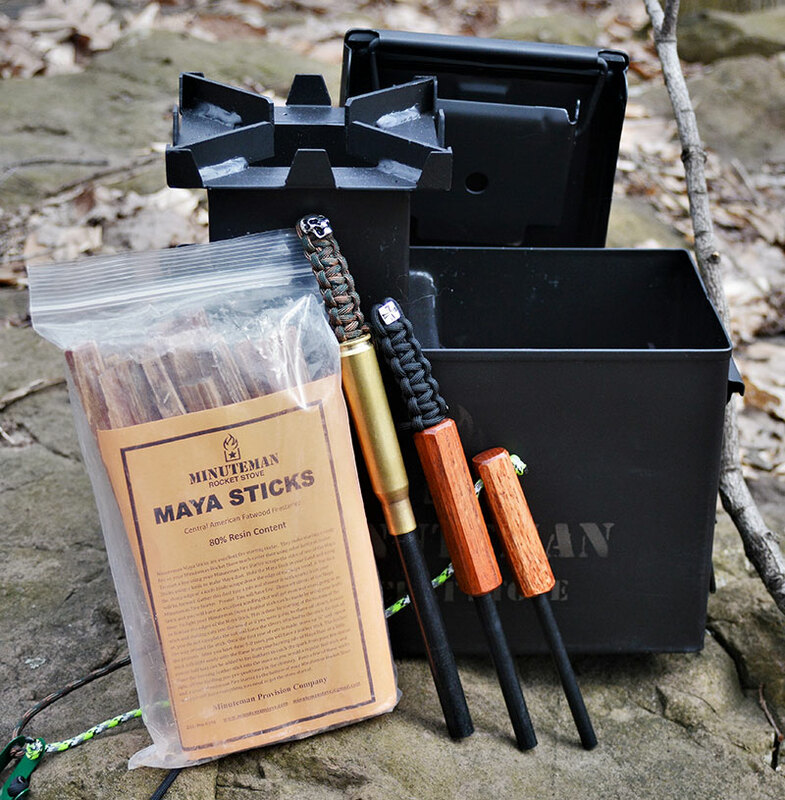 Minuteman Stove comes packed in an “ammo can” and can be supplied with additional items like top-quality Maya Sticks and proprietary ferro rods. All these accessories can be packed inside the stove for safekeeping. 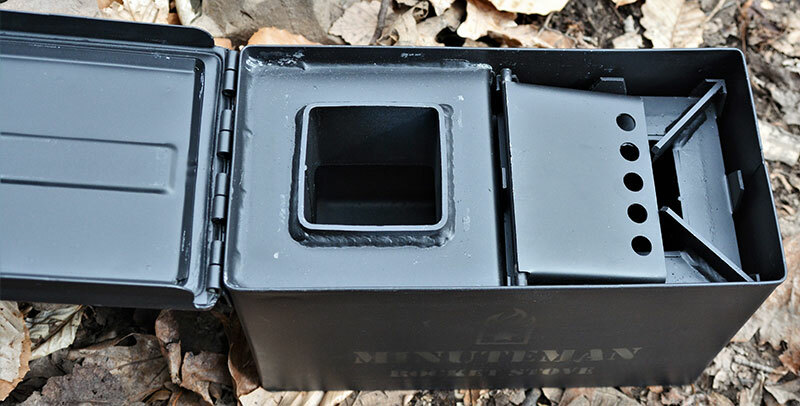 The Minuteman Rocket Stove folds away into a .50-caliber “ammo can” with a handle. While fairly heavy, it’s lighter than most tent-style stoves and has a distinct packable functionality that keeps it useful and unique. A car trunk or bicycle basket are the preferred methods of carrying around the Minuteman Rocket Stove. From experience, this stove can be carried in a pack but adds a significant amount of weight, 19 pounds to be exact. In a small group, an individual could easily carry the stove in a pack or by hand, especially if the weight of gear is shared with others. This stove has some serious benefits but takes much more time to prepare than a typical “packable” stove. Heating the burner pipe is necessary to create a draw of air from the burn box. You need to build a starter fire to heat the exhaust before you can actually create a beneficial fire in the burn box. Once the burn box is going, coals are quickly established and you can safely add all kinds of wet or dry wood, twigs, and branches in as fuel. Think of the Minuteman as a Dakota Fire Pit with a sideways flame. Minuteman puts out a lot of heat in a very small area. Cast iron works incredibly well with the stove. While this may limit portability even more, it adds to stove’s overall efficiency and safety. 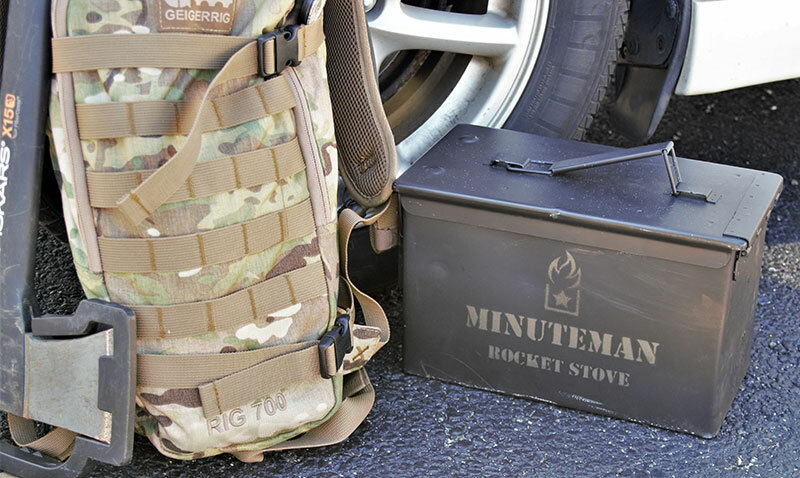 Rocket Stoves are known for their efficiency, and the Minuteman is no different. Once a flame is established and the proper flow begins, the heat is funneled directly through the raised burner assembly. Very little heat escapes through the burner box cover, and the entire can is insulated to prevent thermal loss. While it does radiate some heat, a solid pair of leather work gloves will let someone move the stove short distances with a fire still roaring. Despite the negatives of weight and the unique method of fire preparation, the Minuteman solves several issues that commonly arise with outdoor fires. Being self-contained means the embers and coals stay neatly locked away inside the burn chamber, vastly reducing the risk of a flame spreading. When the blaze is completely out, a little shake removes the internal debris and you can put the entire system away. A unique advantage compared to other stoves is the ability to carry the fuel and tinder safely inside for the next use. Having everything in one place means you’re ready to make a substantial fire at a moment’s notice. Once everything is packed away inside, lid of Minuteman Rocket Stove can be placed on top. Even with burner placed inside burn chamber, there is plenty of room to store next fire’s tinder bundle. The entire Minuteman Stove is designed for fast cooking from single to large group meals. Cast-iron cookware—Dutch ovens and skillets—are just as at home on the Minuteman as titanium and steel. The way the heat moves through the burner pipe funnels heat from flames and coals directly up and out, not around. I remain cautious of using pure aluminum cook sets, as the exhaust has the potential to reach extreme temperatures. Also, the heat will cause the sides of the container to expand and shrink with use. Cooking is where the Minuteman shines. Using four handfuls of twigs and sticks, I had a fire roaring for just over two hours. 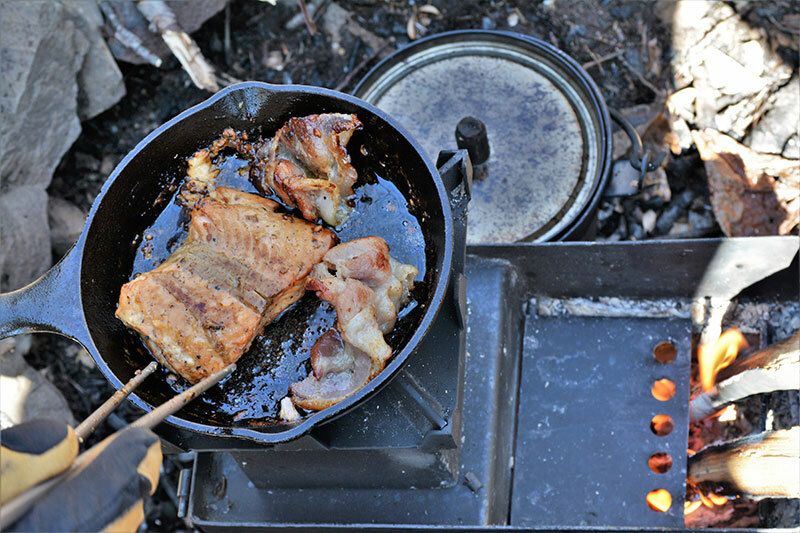 During that time, I cooked or boiled water, bacon, salmon, and water again. Using smaller sticks, the fire remained consistent, hot, and focused directly on the pots and pans above the burner. Every once in a while, the fire would burn outside of the burn box. Despite this, the flames couldn’t really fall away from the stove itself due to the high side walls of the can. Small size and self-contained design allow Minuteman Rocket Stove to be added into any car’s emergency kit. While it may not fit in a day bag, it certainly will be useful during a blizzard or when broken down far away from help. Minuteman stands for something simple—being ready at any moment. While it can’t be said a fire will be ready quickly, Minuteman certainly allows for better preparedness the next time I need a larger, contained flame. I wouldn’t say the Minuteman Stove should replace a collapsible pocket or tent stove, but it performs a task that the alternative options can’t match. Where the Minuteman shines is in its ability to leave no trace, using twigs and branches as fuel sources. Moving among multiple areas with a near smokeless and highly efficient fire container can’t be beaten. 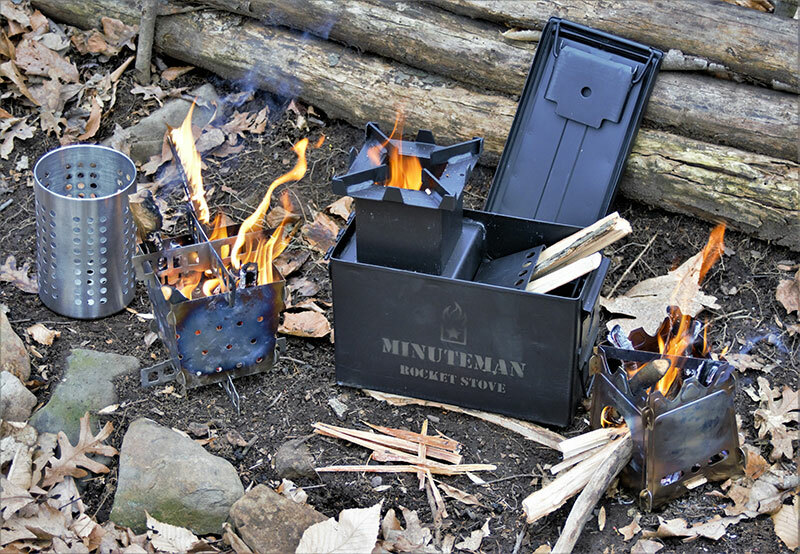 Minuteman Provision Company adds to the packable stove options by offering something in between a pack and a tent stove.